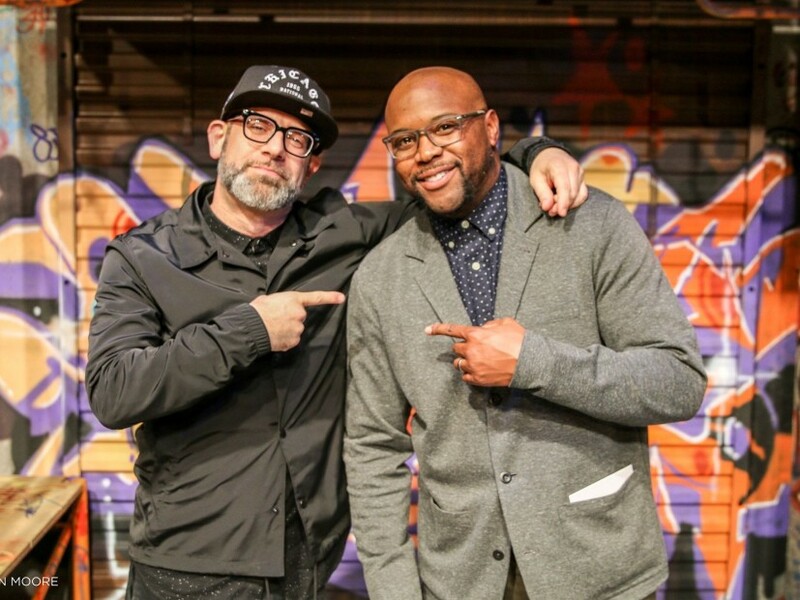 Playwrights Idris Goodwin and Kevin Coval wanted to write a play that didn’t necessarily explore the age-old question of graffiti being art or vandalism but give audiences a closer look at what exactly goes on behind the scenes of the colorful subculture. The result was This Is Modern Art, an 80-minute glimpse into the underground world of an art form both shunned and celebrated by the masses. “Kevin [Coval] and I made a very conscious choice that we were not going to write a play about people arguing about graffiti versus vandalism but rather bring audiences into a tight knit group of writers and educate them,” Goodwin tells HipHopDX. “I’ve been a diehard Hip Hop culture fanatic my whole life and there was a lot I didn’t know. Prolific graf legend KEO of the X-Men, who came up in the graffiti mecca of New York City, provided the artwork for the play and recently found himself in a defensive position after the New York Times wrote a less than favorable review on it. “I went fully expecting it to be embarrassingly cringeworthy like most productions/screenplays/scripts dealing with graffiti writing,” he wrote on Instagram. “I don’t know what the NYT theatre critic standards are, but I was relieved to see that @kevincoval and @idrisgoodwin cared enough to get it right. KEO explained to DX why he felt inclined to show his support for Goodwin and Coval’s play, which he thinks is deserving of a wider audience. Over the past few decades, graffiti art has bubbled up from beneath the surface. Now, soccer moms use it as a background for their kids’ “edgy” senior portraits and Taco Bell throws it into its commercials to advertise the latest chalupa. But KEO has been writing graffiti for decades and witnessed its birth firsthand while growing up in Brooklyn. He says “anything can be fine art” these days. “They just want to take whatever’s corporate approved, like, ‘Look we love this guy this week’ like Mr. Brainwash or something,” he says. “When I was a kid, it was Keith Haring. They were great artists but they were not graffiti artists. We did group shows at the Fun Gallery with all the great writers like Zephyr and they’d add some of these downtown new wave kinds of artists. Their work is totally different. Their motivation is totally different. They’re not even coming from the same place. Invariably, the critics, collectors, gallerists, curators, academics — those who decided what goes down in history as representing an era would choose one of them. While Goodwin admits it’s his “least consistently positive reviewed play,” he expected it to illicit confusion from people who have never truly understood the culture, and some criticism from those who do. “We knew how we chose to craft This Is Modern Art would split the reactions,” Goodwin says. “But as a professional dramatist, I get irked that there’s this prevailing expectation of what a play is and can be and furthermore, that giving 80 minutes of the floor to a complicated and heavily criminalized, misunderstood culture that’s made millions for those outside of it is some kind of negative or weakens it as art. Find more information on This Is Modern Art here.